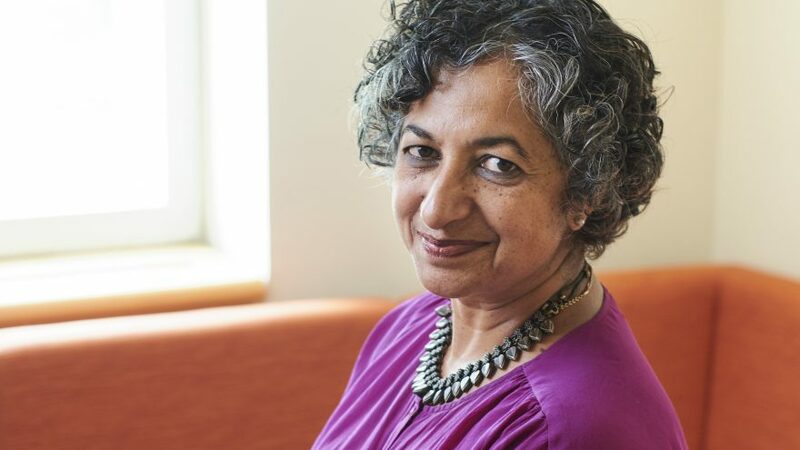 Sujata Moorti is the Charles A. Dana Professor of Gender, Sexuality, and Feminist Studies at Middlebury, where she teaches courses on feminist cultural studies and diasporic media studies. A former journalist in Mumbai, India, Moorti has published extensively on media representations of gender and sexuality. She is currently working on a manuscript titled iFeminism, in which she is examining the ways social media is impacting the understanding of feminism around the world. How does your experience as a journalist inform your work as a scholar? As a young woman in the 1980s, I was expected to stay in the office and let others report. I could edit, cover fashion and culture, but mostly I was deskbound. I kept insisting that I be allowed to report, and, eventually, the stories I was given were stories that others didn’t want to do. How did your interests expand in the U.S.? I was immediately struck by political coverage, the nature of “horse race” coverage, as opposed to examinations of policy. This furthered my interest in the role of media in democratic societies. From this broad framework, I started studying the ways gender and race are portrayed in the media. Have you seen these portrayals change as media itself has changed? Definitely, it has shifted. There is more attention being paid to racism and sexism in the media, but I’m not sure if the substance has changed. That is, has it really shifted the way we think about women’s issues? Racism? Do you believe that there’s more coverage, but that it’s largely superficial? I don’t know. Sometimes the coverage seems like window dressing, but I’d rather have window dressing if it’s a first step. But if it stops at window dressing, then it’s a problem. Does social media exacerbate this? Well, yes and no. Let’s look at the political campaign of Alexandria Ocasio-Cortez. Social media can give voice to somebody from the margins, and it allows their name and their ideas to circulate in ways that probably aren’t possible for mainstream media. And then a community builds . . . This seems to be a natural segue into your current research project, iFeminism. Sure. I’m researching how social media and digital media are enabling new forms of activism, thinking about both the limits and possibilities. And you started before the #MeToo movement? Well, there have been many Me Too movements, haven’t there? Anita Hill was a Me Too movement. But it didn’t capture the public’s attention the way that the current movement has. And I think that’s because we are seeing what can happen when the forces of traditional media and social media combine to raise awareness. So we’re witnessing a sea change . . . In attention, yes. But to what end? That’s to be determined. Attention can only achieve so much; structural changes must occur also. We have to change individuals.